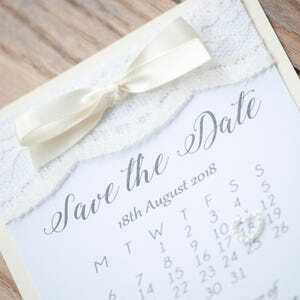 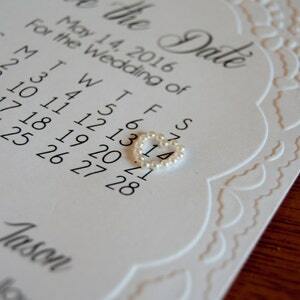 These stunning handmade save the dates are the perfect for any wedding, so unique and personalized to your choice, this is all you need for others to remember when your special day will be. 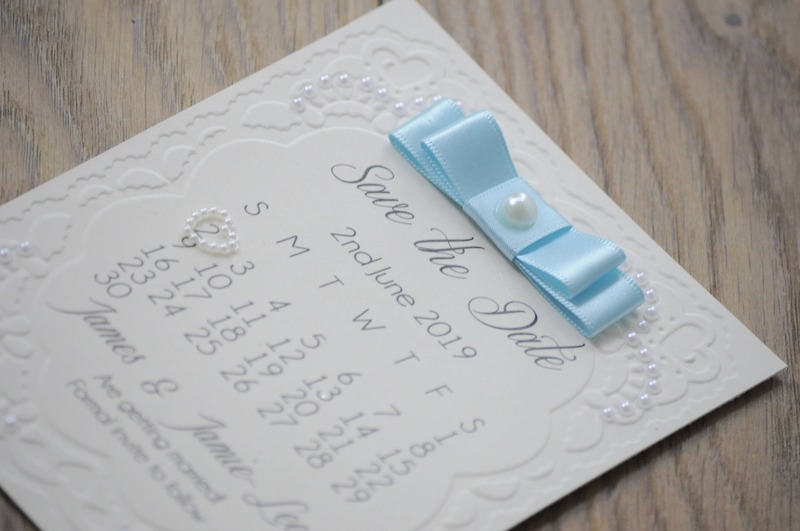 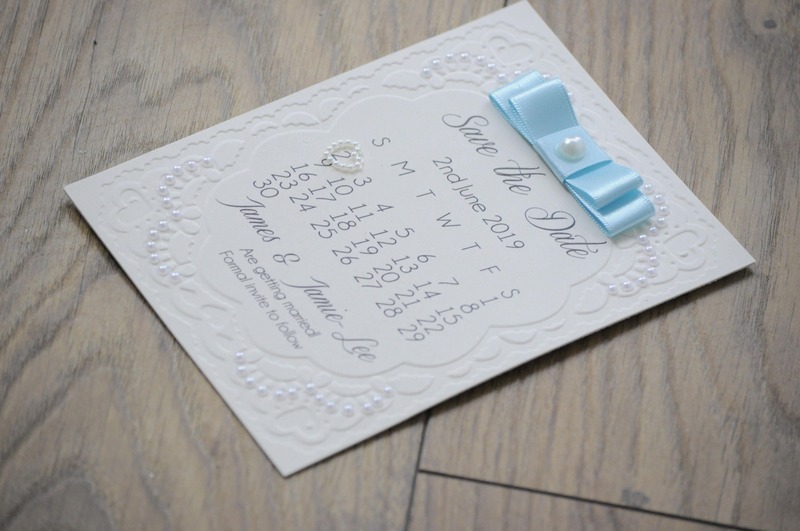 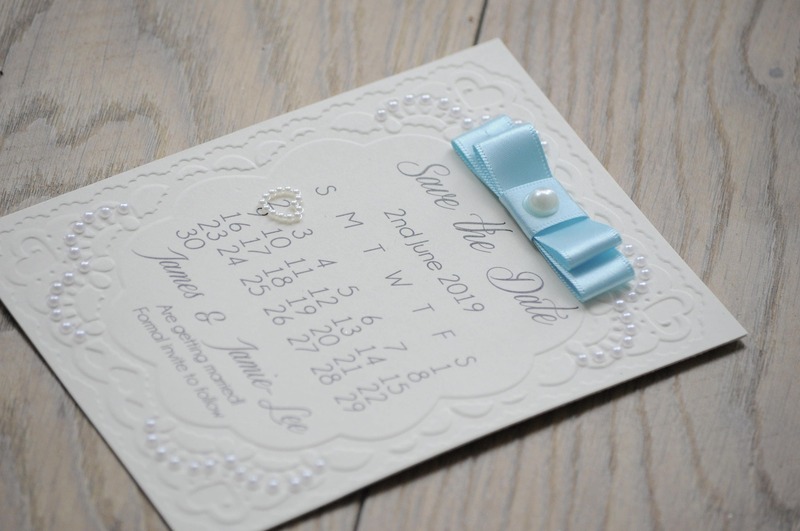 Each handmade save the date invitation has a lace embossed pattern with little pearls, finished off with a dash of colour ribbon of your choice topped with a pearl center. 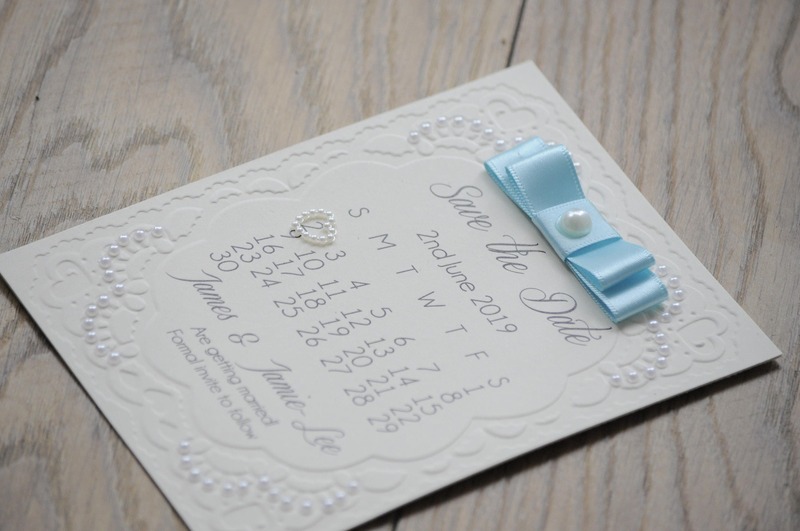 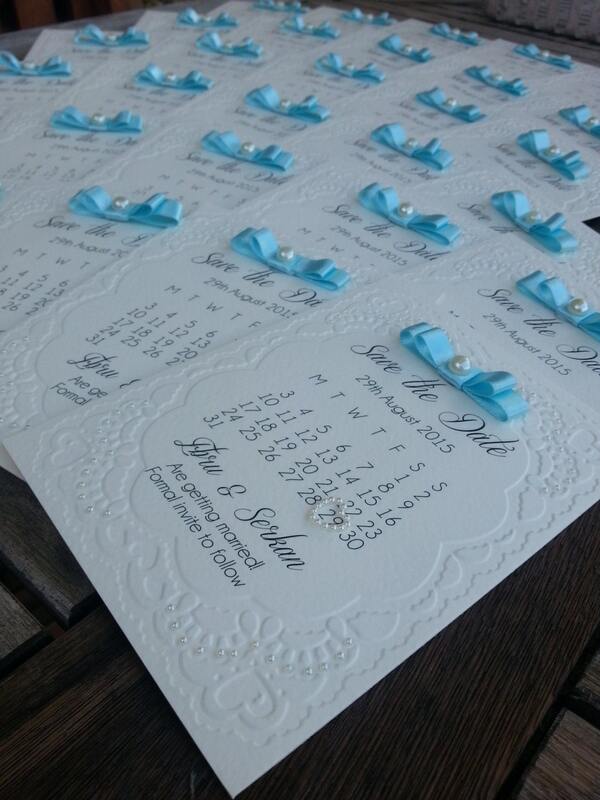 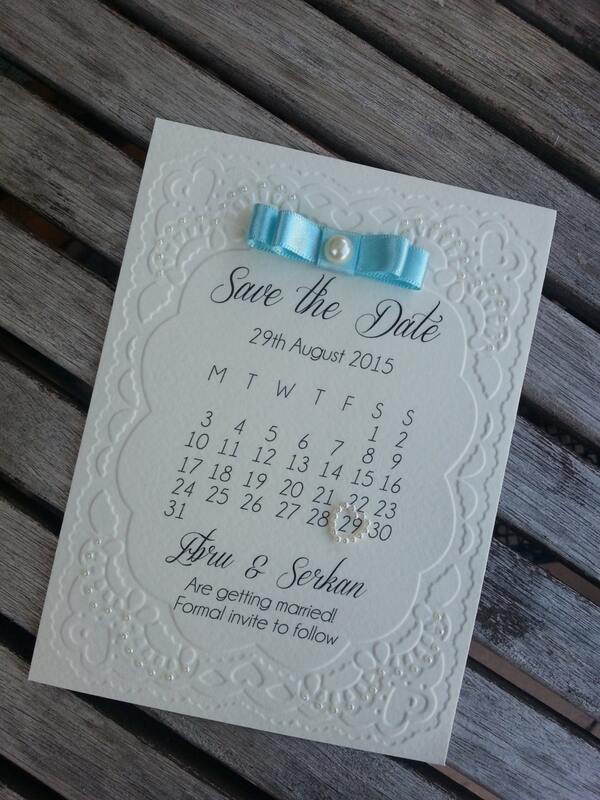 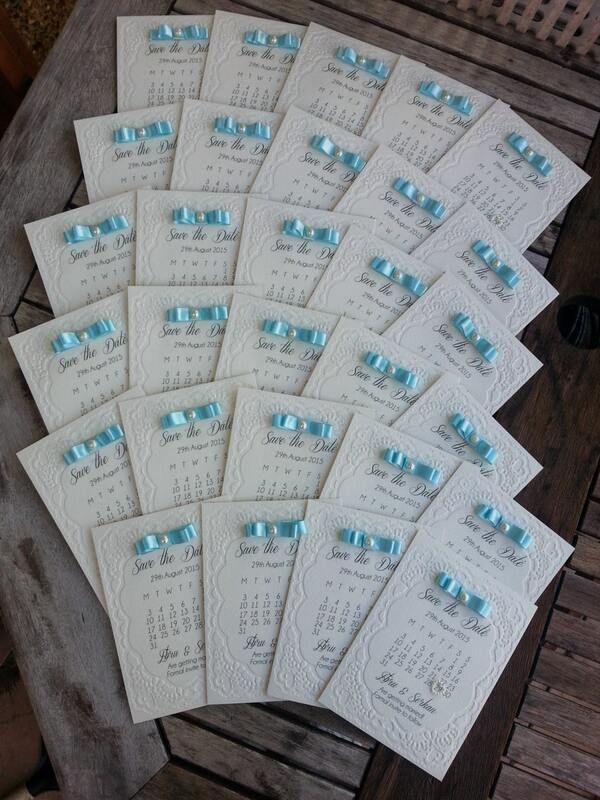 The calender is the main feature, to show the date you will be getting married on with beautiful little heart. 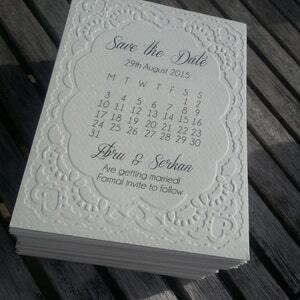 It is made with high quality card which is picked in a colour of your choice, whether you would like it ivory or white. 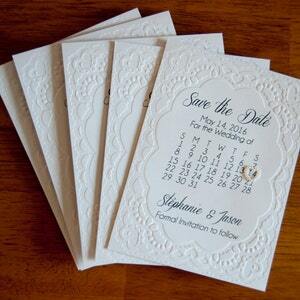 The information is printed on embossed card this card is only available in white or ivory. 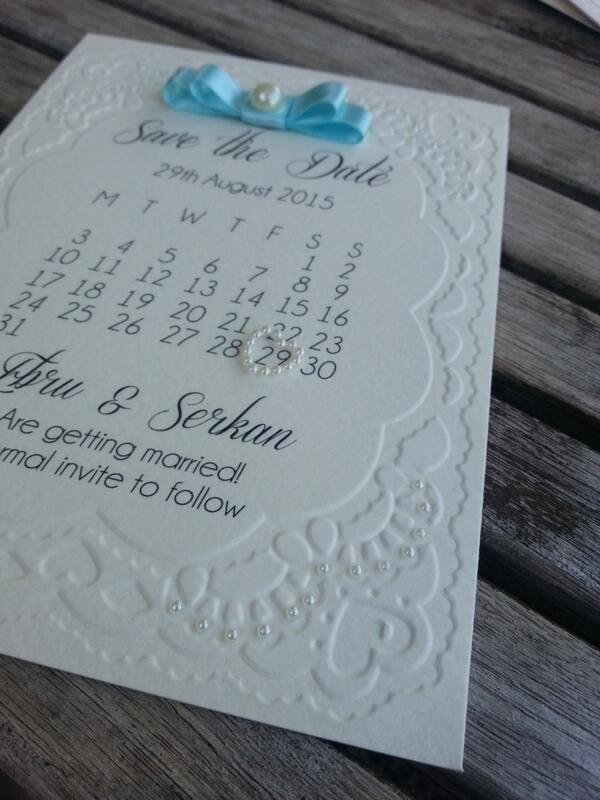 Comes with envelop white or ivory/cream envelope . 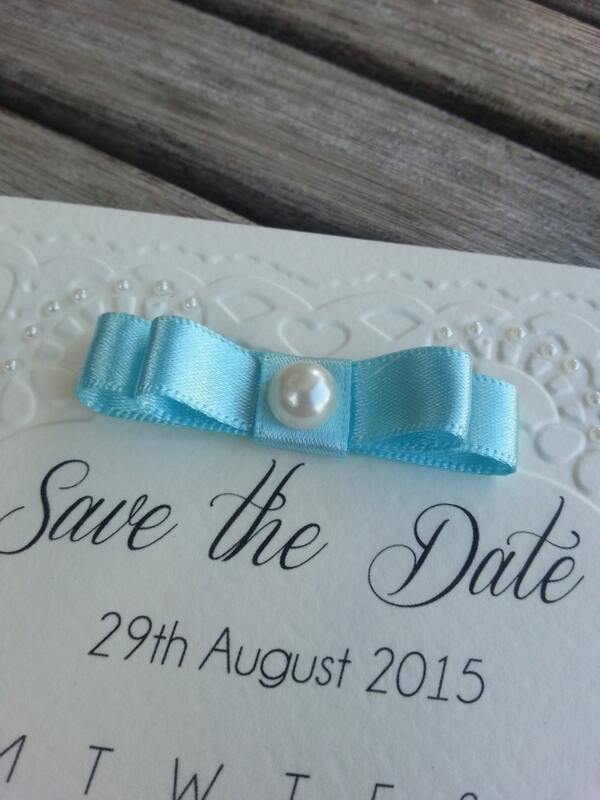 Two magnets will be attached so this stunning save the date can be on show for all.